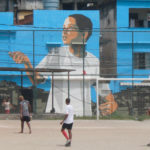 Favela Painting Academy is a laboratory for social design, fueld by the internationally acclaimed practice and experience of Favela Painting community art and place making projects. 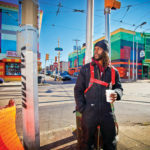 The Academy enables local communities to become self-reliant in developing sustainable social art projects that increase social inclusion, create perspectives for youth, and strengthen urban development. The Academy researches effective methods and practices, trains community artists and local communities, incubates impactful projects, and facilities the development and sharing of knowledge in this new discipline.